Louis Brothers, 63, of Covington, Kentucky, was sentenced to 93 months in prison for illegally exporting sophisticated technology equipment to the People’s Republic of China (PRC) and concealing the unlawful proceeds. The sentence also includes a monetary judgment of $1.1 million. Assistant Attorney General for National Security John P. Carlin, U.S. Attorney Kerry B. Harvey of the Eastern District of Kentucky, Special Agent in Charge Clark E. Settles of U.S. Immigration and Customs Enforcement’s Homeland Security Investigations (HSI) Washington, D.C. Office and Special Agent in Charge Howard Marshall of the FBI’s Louisville Division jointly made the announcement today. U.S. District Judge Amul R. Thapar of the Eastern District of Kentucky sentenced Brothers for conspiracy, aiding and abetting in the illegal export of defense articles and conspiracy to launder funds. 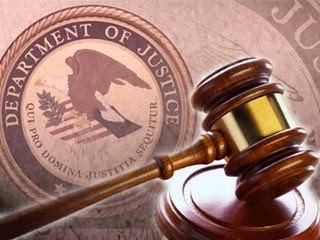 Brothers, a former president and CEO of Valley Forge Composite Technologies, pleaded guilty to the offenses in July 2015. He admitted that from 2009 until 2013, he unlawfully exported microcircuits to the PRC. Under federal law, anyone exporting a defense article, including microcircuits, to the PRC must obtain the permission of the Department of State for the purposes of maintaining national security. According to his plea agreement, Brothers intentionally avoided notifying the Department of State about his activity and labeled his shipments as “computer parts” in order to conceal the true identity of the items. Brothers further admitted that he falsified paper work to make it appear that the proceeds he received from his business with the PRC were actually profits from a business he owned in Kentucky. The investigation was conducted by the FBI and HSI. The case is being prosecuted by Assistant U.S. Attorney Robert McBride of the Eastern District of Kentucky and Trial Attorney Casey Arrowood of the National Security Division’s Counterintelligence and Export Control Section. Interesting laws and prosecution. I suspect these kinds of cases are canaries in the coal-mine, hinting at real problems ahead (i.e., military rather than legal remedies v. China, especially if one crazy SOB gets elected this year).